Tonight I worked on one of the members block of the month. 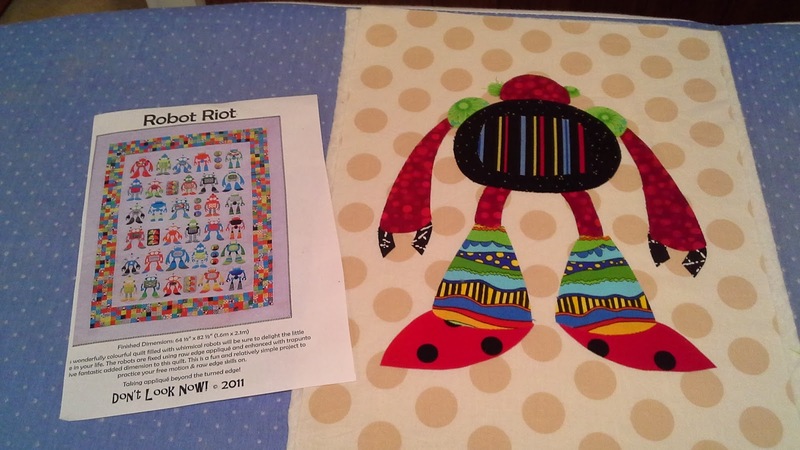 Ok, where did you get the robot pattern from? It is fabulous!